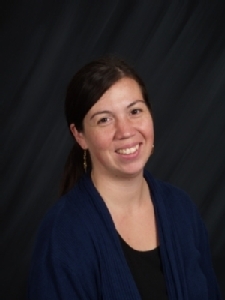 Joined the CSUSM Psychology faculty in the Fall of 2011; her area of specialization is behavioral neuroscience. She completed her predoctoral work at Michigan State University and postdoctoral training with the Developmental Psychobiology Research Group at the University of Colorado Denver. Among her research interests are the role of stress/arousal peptides on maternal behavior in mice and the role of acculturation and other psychosocial measures on the biological response to stress in pregnant women, particularly Mexican and Mexican-American women. Originally from Fresno, California, Silverio Haro refers to himself as an educator, given the various hats he's worn throughout his career. He has served in the roles of advisor, administrator, and adjunct faculty member, to name a few. He is committed to seeing students succeed and has worked with student groups as well as indivdual students to meet their academic and personal goals. He is especially proud to have mentored dozens of students and knows all too well the power of a caring and interested mentor to motivate and guide. Erika Vazquez grew up in North County San Diego and is the second person in her family of five siblings to attend college. As a first-generation Latina student with migrant parents, she knew education was key to serve as an inspiration to her younger siblings and to pursue a better life.While Erika was pursuing her undergraduate studies at CSUSM, she was a participant of College Assistance Migrant Program (CAMP) and Educational Opportunity Program (EOP). Both programs were instrumental in her academic journey as they provided essential resources, support and a familia environment. Erika earned her bachelor’s degree in Communication and Minor in Spanish and a Master of Arts in Postsecondary Educational Leadership with emphasis in Student Affairs from San Diego State University. Her graduate research examined the challenges of first-generation college students in personal and academic development, transition and finding a sense of community. Thus, her teaching philosophy is attributed to her values of access, equity, empathy, and student success. Teaching a GEL course for Pathways for Academic Success and Opportunity (PASO), allows her to pursue her passion of working with Latin@ first-generation college students as she can relate to the unique challenges they face.Aside from teaching as a Lecturer for First-Year Programs, Erika also serves as an Admissions Officer and School Partnership Coordinator for the Office of Admissions and Student Outreach. I grew up in San Diego County with my parents and five siblings. I am a first-generation college Latina who was very fortunate to be part of the College Assistance Migrant Program (CAMP) where I received various support services throughout my college years. In my sophomore year I began working in the CAMP office as a Peer Advisor, building my resume to later become an Academic Advisor for Undergraduate Advising Services (UAS) at California State University San Marcos (CSUSM). I graduated with a Bachelor of Arts in Human Development Health Services at CSUSM and Master of Science in Higher Education Administration at National University. I currently advice six majors for the College of Humanities, Arts, Behavioral & Social Sciences (CHABSS) and serve as the liaison for Pathways to Academic Success & Opportunities (PASO). I enjoy assisting student’s transition from high school to CSUSM, my goal is to help students develop a unique academic plan to cater to their needs, teaching them the necessary skills and tools to have a successful undergraduate experience. Mea has been teaching at CSUSM for the last seven years, after earning her Master of Arts degree in Literature and Writing from the same institution. Mea strongly believes that education is the surest way to foster compassionate problem-solving in any society. Her background living and traveling all over the United States and my many years of experience as a counselor at a multicultural camp in Arizona have demonstrated to her that the better people understand each other and themselves, as individuals and as cultures, the more productive conversations become. She respects the way that PASO offers students exactly those opportunities. Outside of the academic and art world, Mea's other abiding love is her children, who remind her daily why education and the arts are so important in the world. I am a lifelong Southern Californian. I earned a B.A. in Fine Arts at San Diego State University and a master’s degree in Literature and Writing at CSUSM. I have worked as an educator most of my life in many different capacities and have been a lecturer here at Cal State for the past ten years. Away from school, my favorite activities include taking long walks and hikes, reading, and practicing yoga. I love to travel. After winter break trips in recent years to Alaska, Canada, and Minnesota, I spent Christmas 2017 in warm and sunny Nicaragua. I truly enjoy teaching first year students, and particularly my PASO scholars, because of their drive, their positive energy, and their passion for learning.